If you dream of working with cutting-edge technology at a fast-growing company that is improving the lives of small business owners, Sensibill is the place for you. If you also want to work in an office where expressing your passion for 2001: A Space Odyssey would help you fit in instead of stand out — then, bonus! Sensibill is a receipt-management solution built for banking apps. Working with some of the most innovative global financial institutions, the company enables consumers and small business owners to track and store their receipts easily and efficiently. Sensibill imports data from paper or digital receipts, and then uses machine-learning technology to structure the receipt data for easy searching and categorization. Consumers can easily track their spending by category or merchant, and will receive reminders when the return periods for their purchases are about to expire. For small business owners, Sensibill means that tax time is no longer a waking nightmare filled with days of inputting receipt data and trying to decipher which receipts can be claimed and the categories they belong in. As for banks, Sensibill helps them to engage more meaningfully with their customers and glean insights from customer data, enabling them to develop better products. With a successsful product, partnerships with large financial institutions and a recent $17.3-million Series A funding round, Sensibill is growing quickly — which is good news for those looking to work for an innovative, inclusive and inspiring company. Its office is bursting at the seams — unlike its users’ receipt shoeboxes (now empty thanks to its software) — and the company is even expanding onto a second floor at its current location. 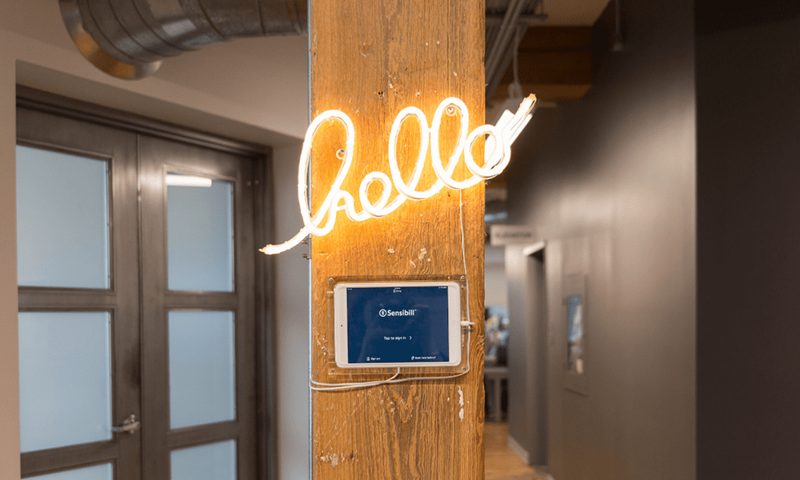 Sensibill’s open-concept space on Adelaide Street near Spadina Avenue in downtown Toronto is a combination of old and new — wood floors and brick walls set the backdrop for desks laden with multiple screens. 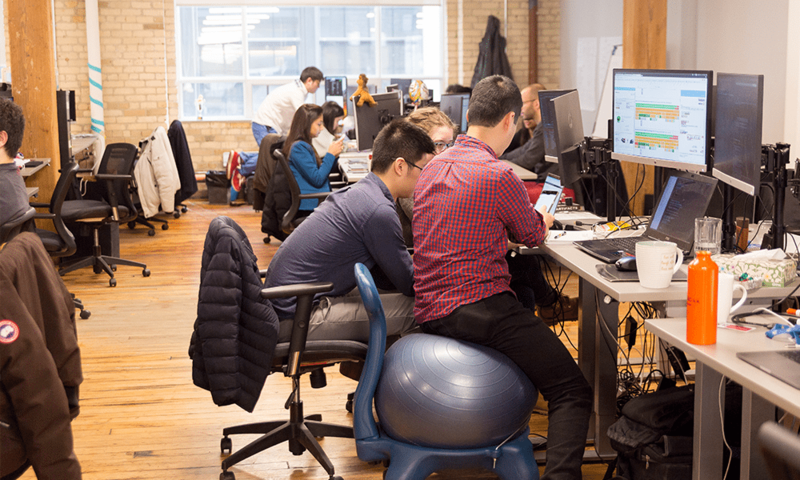 For those worried about concentrating in an open-concept space, Sensibill has instituted quiet hours from 1:00 to 3:00 pm so the team can enjoy the benefits of an open environment — collaboration, discussion, camaraderie — but still have quiet time to get things done. But it’s not all work and no play. 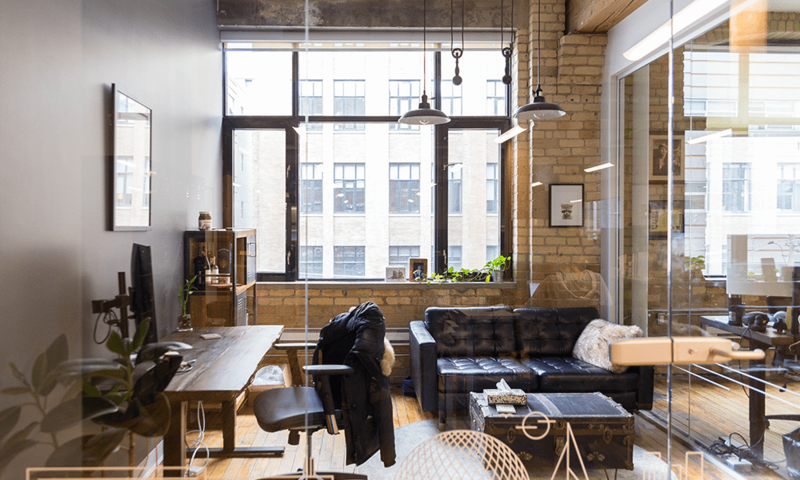 The company also offers the classic startup perks: the office kitchen is stocked with snacks and there’s a lounge area with a pool table, couches and a picnic table for team lunches. Although many companies use some aspect of artificial intelligence in their technology, few have AI integrated into the very core of their offerings. 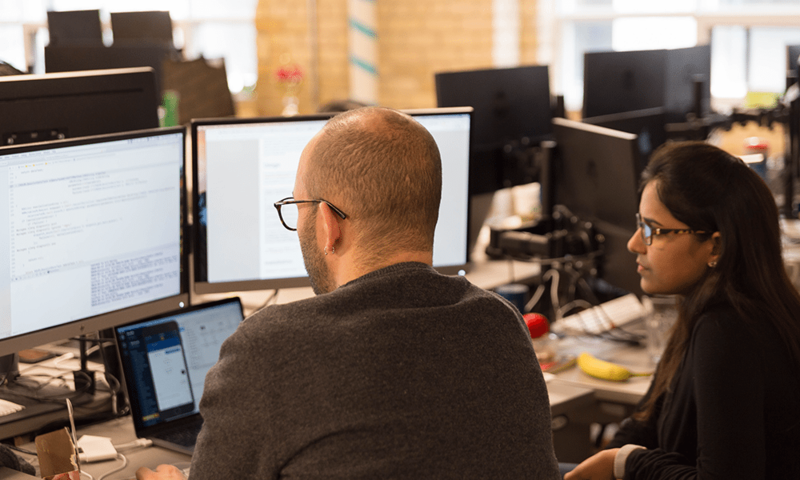 For Austin Han, a machine-learning technical lead at Sensibill, the integration of AI into the company’s core tech is a huge part of what kept him from heading to Silicon Valley. While AI can sometimes be a buzzword, the Sensibill team uses it to produce real results. For example, they had been using the Torch AI framework, but realized at a certain point it had become “more of an academic novelty than a practical use case,” explains Austin. 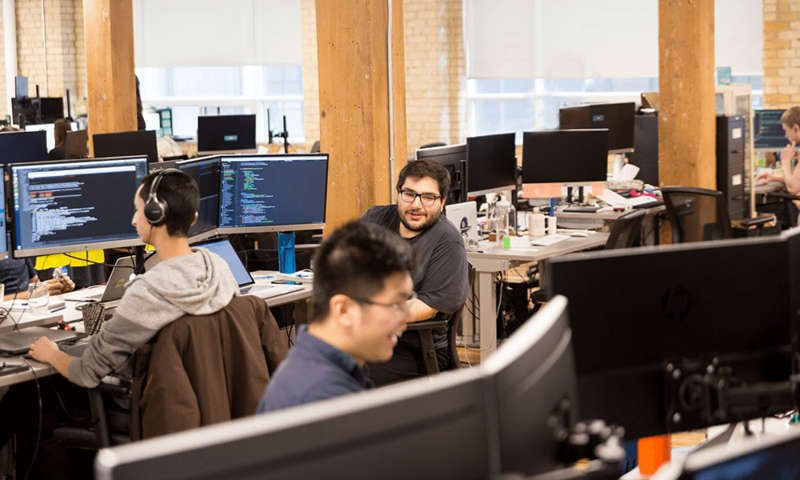 So, they switched to TensorFlow, a framework that allows the team to spend less time developing the basic architecture — thanks to a wider network of open-source TensorFlow development — and more time experimenting with custom solutions for their software. Just as its AI technology is woven into Sensibill’s core, so too is diversity. Mehdy Chaillou, quality assurance automation expert (and native Parisian), says that, from what he’s seen, Canadian workplaces in general (and Sensibill specifically) are dedicated to ensuring that “diversity is not an item on a list, but a way of life.” From his first in-person interview, Mehdy saw that the Sensibill team valued diversity — he could even see it in the people sitting around him at the interview table. When it comes to Sensibill’s leadership team, the doors are always open. Austin is thankful for the professional advice he’s received from chief operating officer Izabella Gabowicz. In addition to advice related to his specific role, he’s received guidance on building his career and becoming a better leader himself. For his part, Antonio appreciates the company’s transparency about its direction and goals, adding that regular company-wide town halls allow team members to share their insights and progress, while celebrating wins. 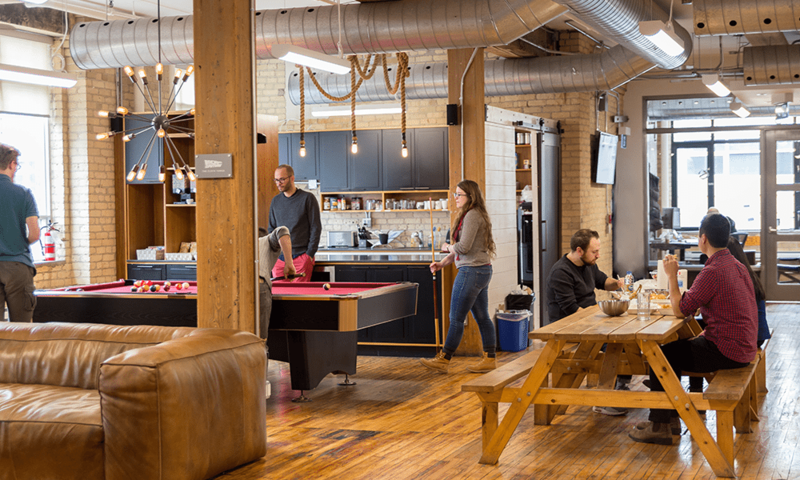 Of course, if you need a little brain break, Sensibill’s employees are into gaming — Super Smash Bros. is a low-key office favourite — and are happy to discuss anything Marvel- or Star Wars–related. If sci-fi or superheroes aren’t your scene, Sensibill’s diverse team is bound to have someone with interests you can relate to.